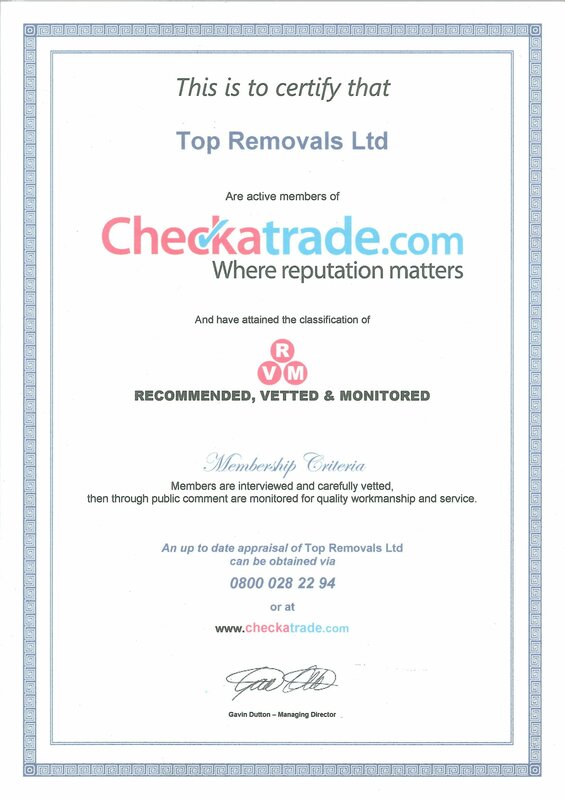 Top Removals is always striving to achieve the best quality in everything we do. In order to do so, we attend different trainings and we are part of different organizations. Within a month we expect to become BAR members, which will be the most valuable membership. 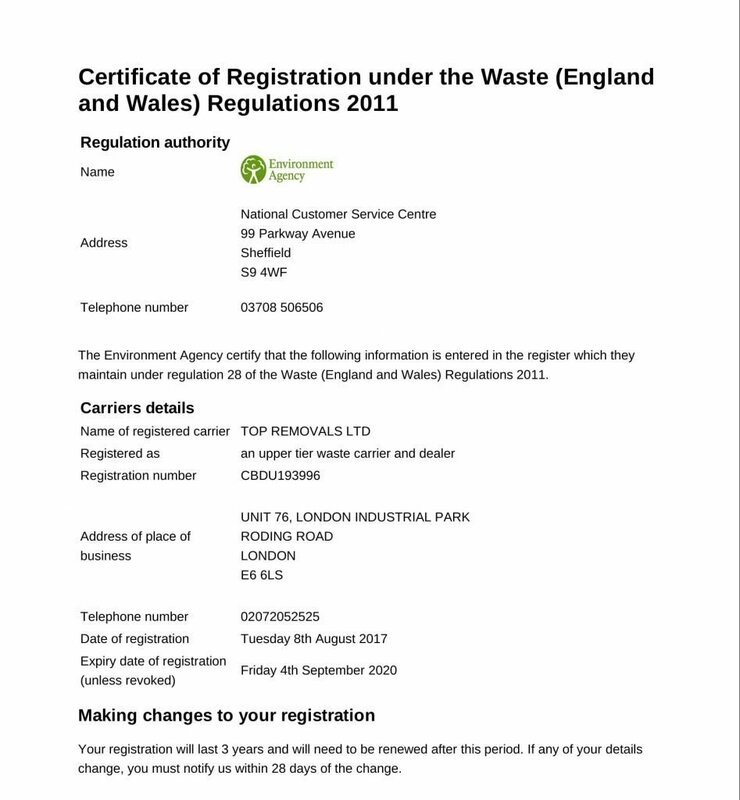 Here are some of the certificates we are proud of. inspection during membership to ensure standards are maintained. 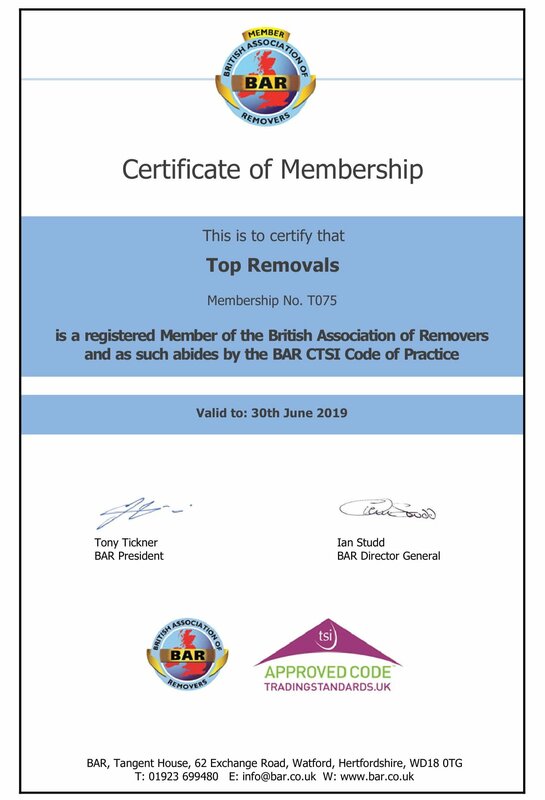 Through this programme and through the Code of Practice Scheme, BAR constantly seeks to raise standards in the industry so Customers may receive the most efficient and trouble-free move possible. Now every deposit and/or advance payment is fully protected by BAR for your peace of mind. We know how important it is for our customers to feel secure and this is why we made that extra step. Checkatrade runs strict background checks on tradespeople before they can become members. Once they join, members agree to have feedback from their customers put online for all to see. They’ve published 4,285,055 to date. 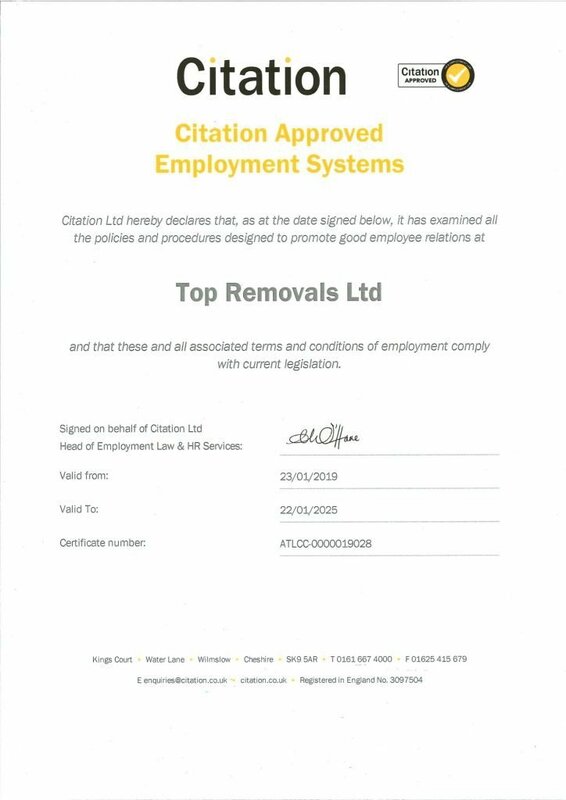 Citation provides unrivalled HR and Health & Safety support and expertise. 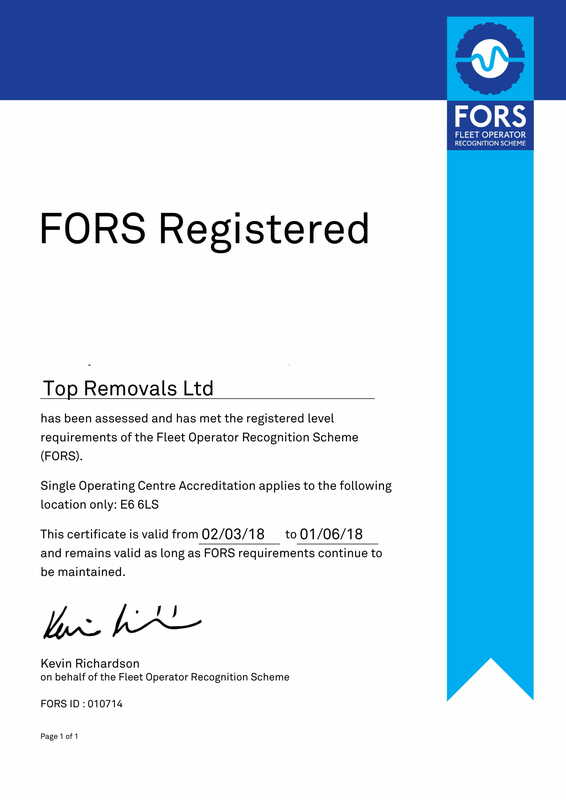 The Fleet Operator Recognition Scheme is an accreditation scheme for fleet operators which aims to raise the level of quality within fleet operations and to demonstrate which operators are achieving exemplary levels of best practice in safety, efficiency, and environmental protection. Allowing Top Removals to offer disposal services while the company endeavours to recycle all waste produced, limiting the environmental impact. 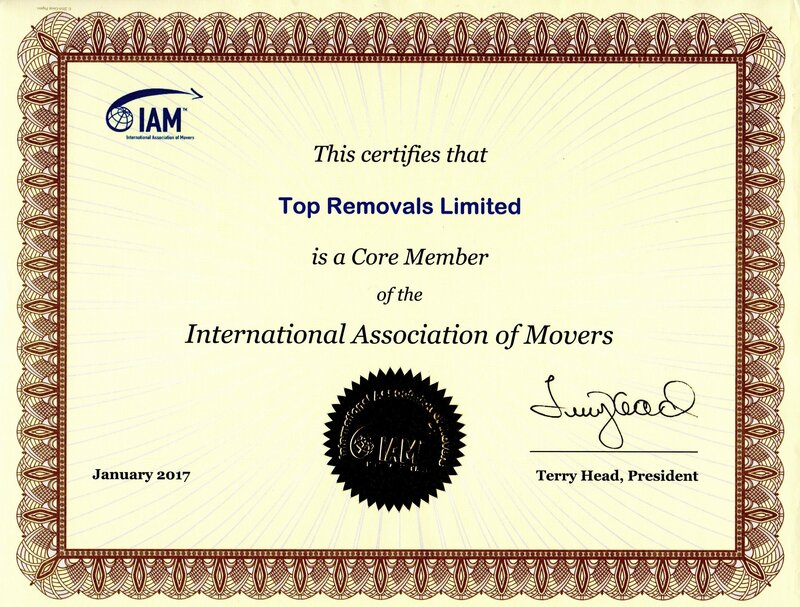 IAM is the largest independent international association for moving companies. The membership shows that the company is approved, vetted, checked both financially and operationally and that the customer can be confident in using the services when moving abroad. The company is also participating in the payment protection program. One of the two main associations in the UK. Top Removals customers can be assured that the company is audited each year and it is offering industry approved methods, materials and operational standards. 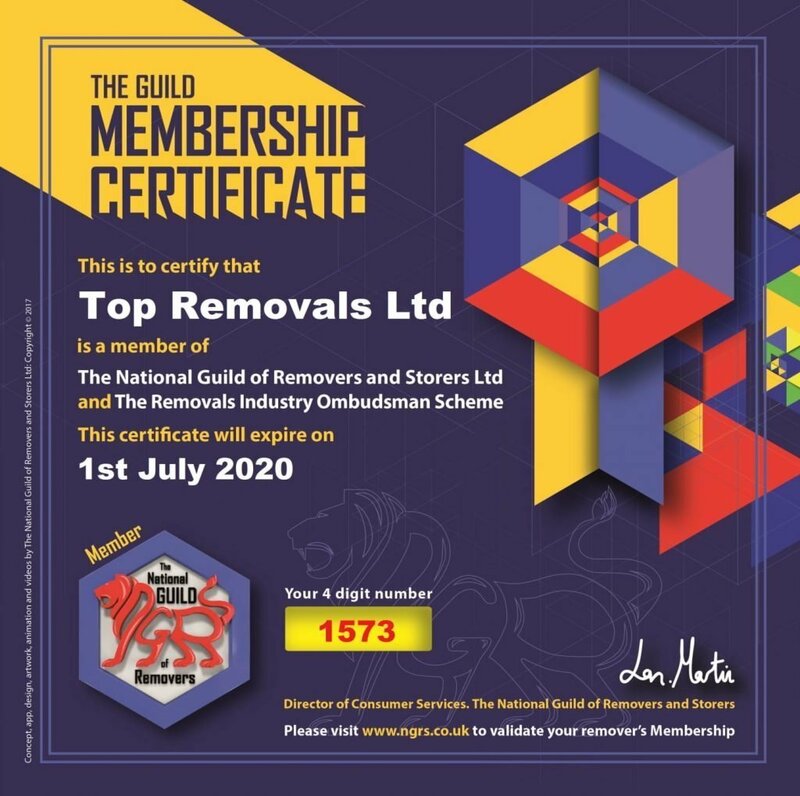 As part of the membership, Top Removals participated in the Removals Ombudsman Scheme which offer consumer protection and dispute resolution services.